Apart from our usual ready to make craft packs and all round crafty goodness we'll be holding another of our mini workshops at our monthly D.I.Y. 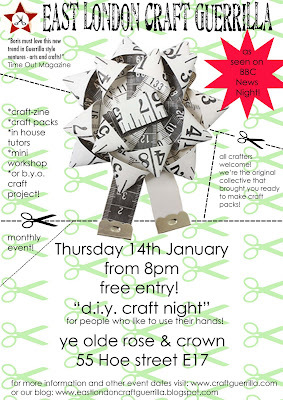 craft night on Thursday 14th of January. Please book on the night. A small £2 fee per person covers tutor fee,materials and tools. Mini work shop starts at 9pm. and we will provide the rest. thanks to everyone that made our year so fabulously crafty! Talk Back Telivision wants you! ARE YOU A DIY BUFF? Sorry to everyone else that didn't win...better luck next time! There will be other competitions later next year! WIN some hand made Christmas goodies! 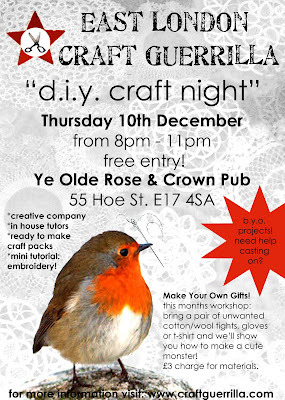 Because we had such a great time at our Xmas Craft Guerrilla we're feeling generous and in the festive spirit. Craft Guerrilla held a TOMBOLA in aid of The William Morris Gallery and we made £90 which went directly to the GALLERY! Thank you all for your generous hand made donations and for all the lovely people that spun the TOMBOLA. LOTS OF HAPPY PEOPLE CAME AWAY WITH GORGEOUS PRIZES! BUT because it was such a success we'd like to offer you lot another chance to win BIG. SO...We decided that we'd offer you a VIRTUAL TOMBOLA! 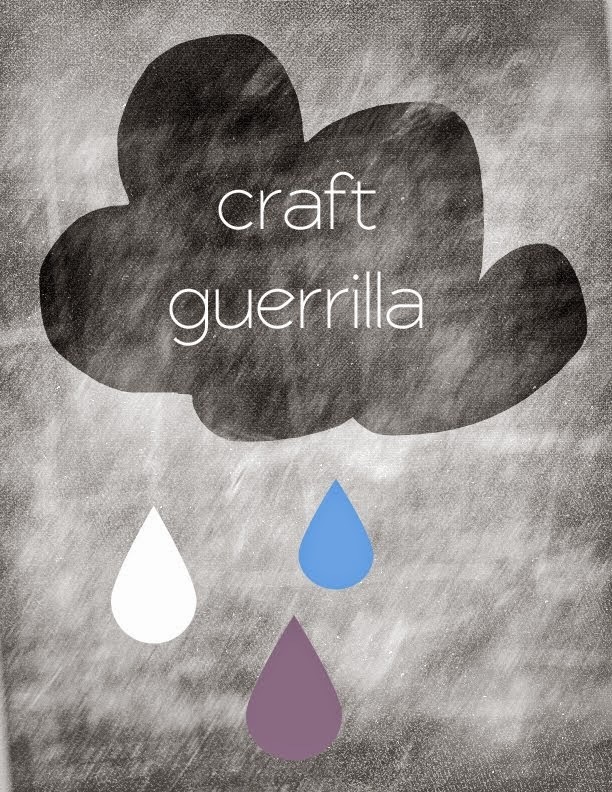 Send us an email to craftguerrilla@yahoo.com with the subject title "tombola" and we'll enter you in the competition. We'll then place your names in the TOMBOLA, SPIN and one of you will WIN! WINNER will be announced next MONDAY the 14th. Looking for Christmas gifts in the supermarket can be dull. 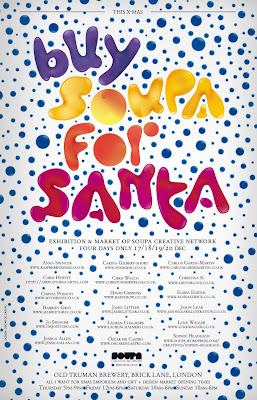 This one time only event will see members of Soupa sell their wares at the Old Truman Brewery’s ‘All I Want for Christmas’ fair on a collective SoupaStall. This lovely poster has been created by Soupa member Oscar de Castro to promote the event and details who will be providing the goodies! Expect limited edition screenprints, T-shirts and cuddly critters – all unique and handmade by Santa’s Soupa little elves. If you’d like to come along, then we’d love to see you. See the below/attached poster for details – and be sure to tell your friends! Thanks to the Edinburgh Craft Guerrilla and for the BBC for including us in their "make do and mend" feature on News Night! we'll be hosting not one but two mini workshops! There's the recycled Monster workshop. Bring an old tee shirt, a pair of wool tights or some nice clean socks and we'll show you how to make your very own creature! There's a £3 charge to participate but all tutoring and extra materials are included. Also bring along any unfinished embroidery. 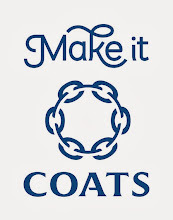 We have on hand an expert which will be happy to help you finish or start your embroidery project. 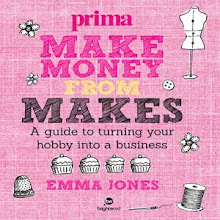 It's a great chance to get some great little gifts and the best thing is that you've made it!!! Here's another great opportunity to sell your hand made goodness! for T&C's visit their blog. and we plan to have available two food sellers. and within out Facebook group (London Designer Makers)"
oh you lucky people...designer number seven! 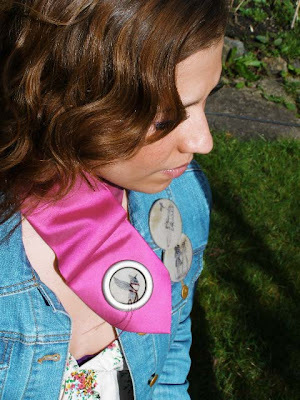 Naughty Rutty are an eclectic and experimental label dedicated to hand made unconventional and quirky accessories for ladies. "We want to reflect contrast between past and present, elegance and quirkiness and femininity and masculinity crossing the seasonal boundaries of fashion. 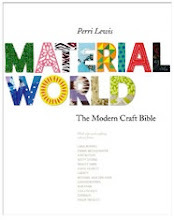 We use a mixture of sources and recycle any and everything to create special details rather than mass produce ones." They'll be there on Sunday and we're very pleased! I'm hoping they'll have some gorgeous head gear for Christmas eve... a girl can't meet Santa without looking chic and doing her bit for the environment. 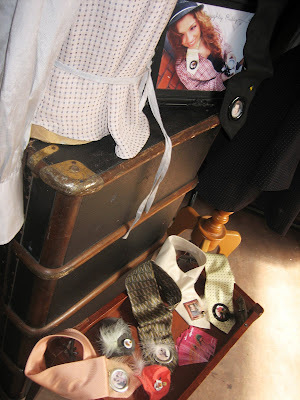 We love the recycled accessories...I think that will give us extra brownie points and put us on the "NICE" list! We're so excited!!! The Christmas Craft Guerrilla takes place this coming Sunday the 6th of December at the William Morris Gallery in lovely Walthamstow. It's the childhood home of the great man,the father of the arts & crafts movement and we're super thrilled to be there. I think he'd be tickled pink to see so much quality contemporary craft in his little home! 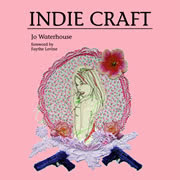 We're hoping to be beating off the craft loving public with knitted sticks! 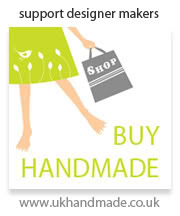 Come show your support buy buying hand made. BUT if you ain't in the shopping mood...do not worry,grab a seat and make your own at the craft corner.Still wanting more? Come try your luck at the tombola! Win a hand made prize and help the gallery as proceeds go straight to the WMG. Also to be confirmed...we're hoping to have a local choir joining us for a little bit of seasonal singing. We're still waiting to hear but if they are joining us they'll be there at 2pm. SO...what are you doing on SUNDAY?